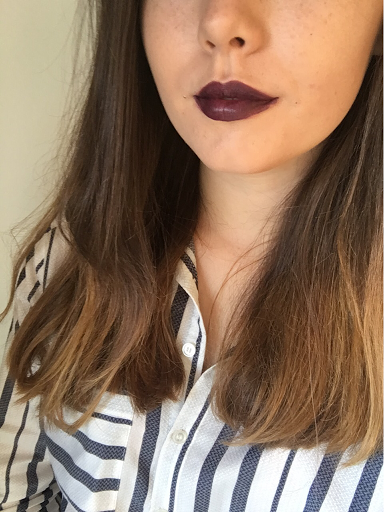 One of my favourite parts about Autumn is the dark clothes and lipsticks. 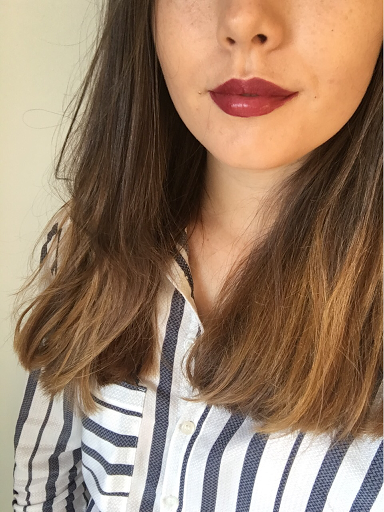 I thought I would share a few of my favourite lipstick colours that I love wearing at this time of year. As you can see, the three of them are from MAC because I thought I’d stick to the same brand at the moment! Starting from the colour on the left, this one is Dark Side and is more of the colourful shade, edging towards the pinks. I love wearing this colour with reds in Autumn. Oh, and it’s a satin finish if you would like to know! I love mattes, but I actually have a lot of satin finishes and don’t really notice. The second one is Cyber. Again this is a satin finish. The third and last colour is Stone and this one is a matte! I bought this in duty free at an airport this year and I love it! I’ve heard a lot of people loving it so I went with the crowd and made the purchase. The matte finish makes it look even more grungy and I love it. Especially with dark clothes and maybe a choker necklace. It’s sort of browny but brighter if that makes any sense at all! 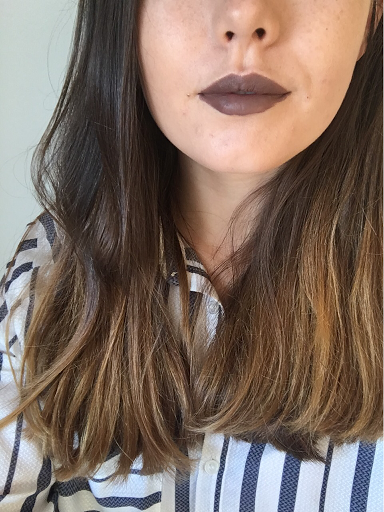 Either way – it’s along with my favourite Autumn lipsticks and I’m so excited to wear it throughout. 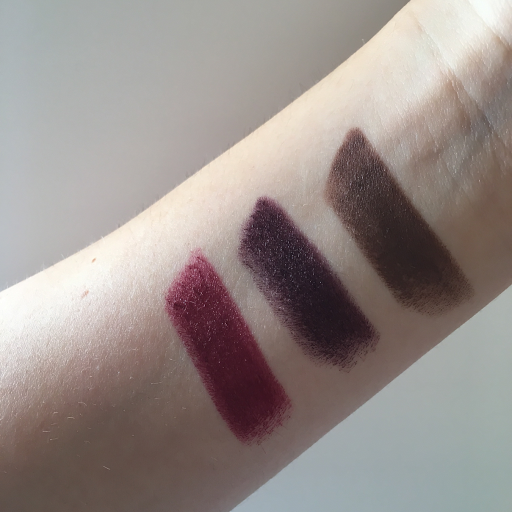 So that’s my Autumn lip swatches done. I’ll try and do some more beauty related posts in the future. I’m currently trying to do a bit of everything. Make sure you’re following me on bloglovin’ or Instagram for updates on regular posts!